Before diamond cutting machinery that emerged in the early 20th century, diamonds were often cut by hand, using techniques that are not used so frequently today. These vintage cuts resulted in diamonds that possessed shapes, facet structures and dimensions that captured the design trends of their eras. While diamonds cut in these ways often emit less brilliance and fire than modern cuts, they do exude a more subtle and romantic glow. Vintage cut diamonds have risen in popularity over recent years due to their desirable delicate and gentle look. Considered one of the original diamond cuts, the rose cut diamond dates back to the early 1500s. 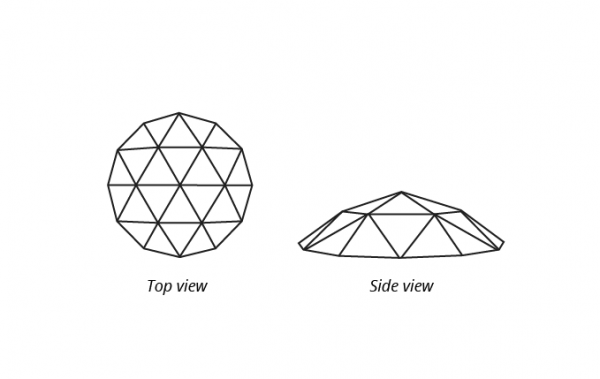 With anywhere from three to 24 triangular facets, rose cut diamonds peak into a dome or kite-shape. This structure resembles the soft curve of a rose petal, hence its name. 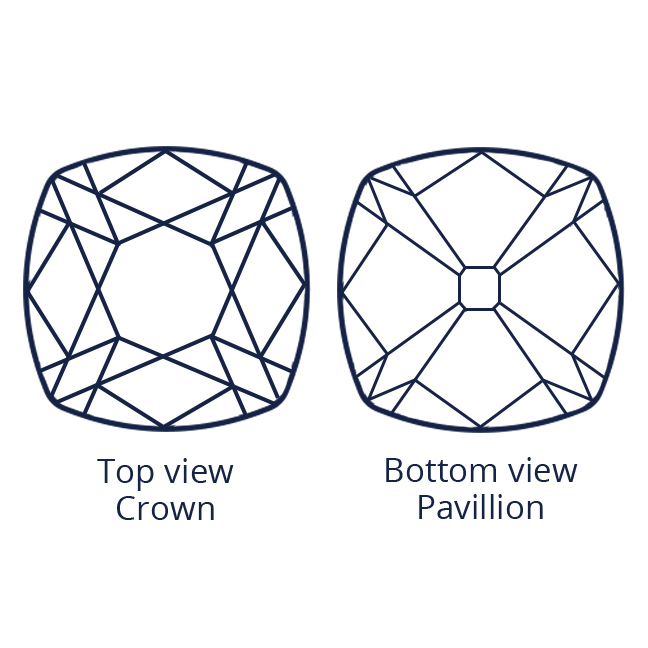 Why should I choose a rose cut diamond? Their flat base creates a larger surface area, making rose cuts an excellent choice to maximise your budget with maximum impact. With its soft brilliance, rose cut diamonds embody old-world romance and are distinctly subtle. You’ll love the clear flashes of light and simplistic faceting, which perform best under candlelight. This individual diamond cut is hand carved, unlike machine cut brilliant diamonds seen in the majority of modern jewellery. Rose cut diamonds are elegant reminders of the past, which make for a compelling centrepiece and you’ll often see rose cuts in antique style jewellery designs. 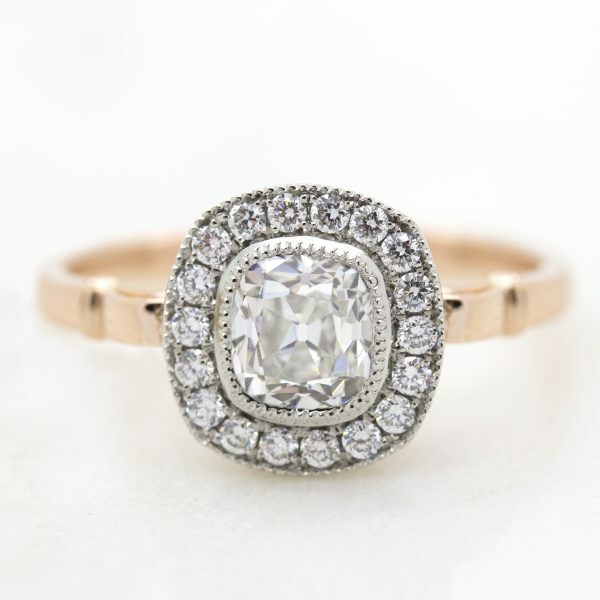 But despite their rarity, this vintage diamond cut is making a comeback in modern jewellery design. 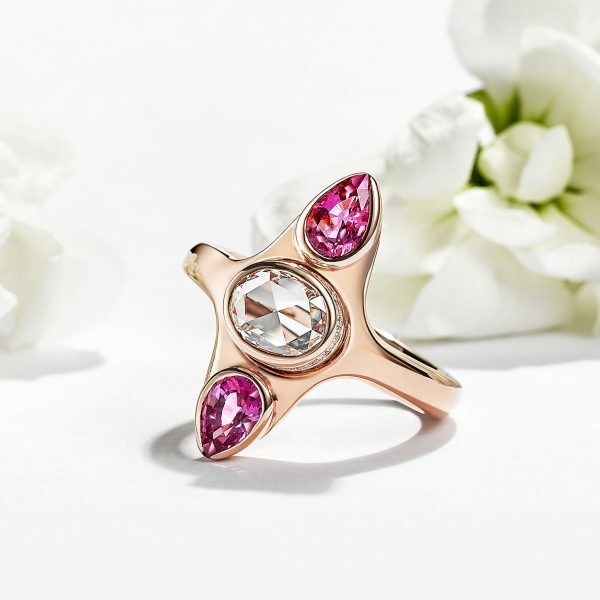 Stars such as Jennifer Aniston, Alison Brie and Camila Alves all wear rose cut diamond engagement rings–a clear mark of their resurgence. Due to their large open facets, a rose cut diamond with a flawless appearance is incredibly rare. Rest assured that our diamond buyer inspects every diamond that passes through our office to look clean to the naked eye. 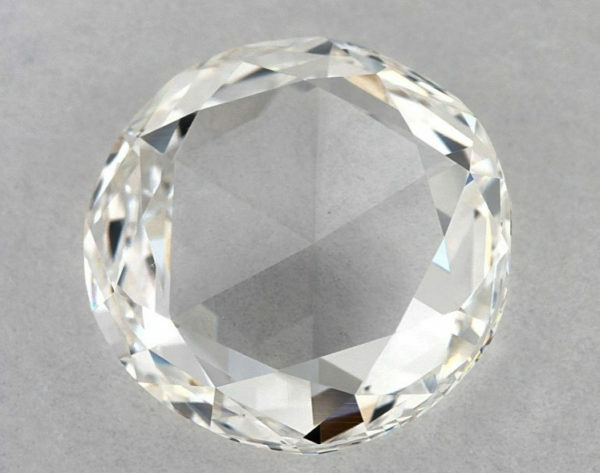 A predecessor of the round brilliant diamond, the old European cut also has 58 facets and was created in the late 19th century. Its higher crown, smaller table and larger culet gives the stone an incredible depth and presence. 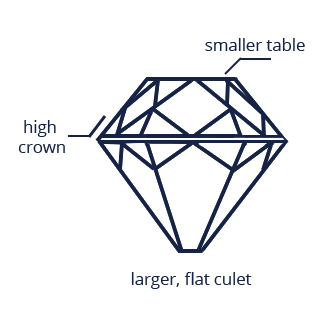 Why should I choose an old European cut diamond? 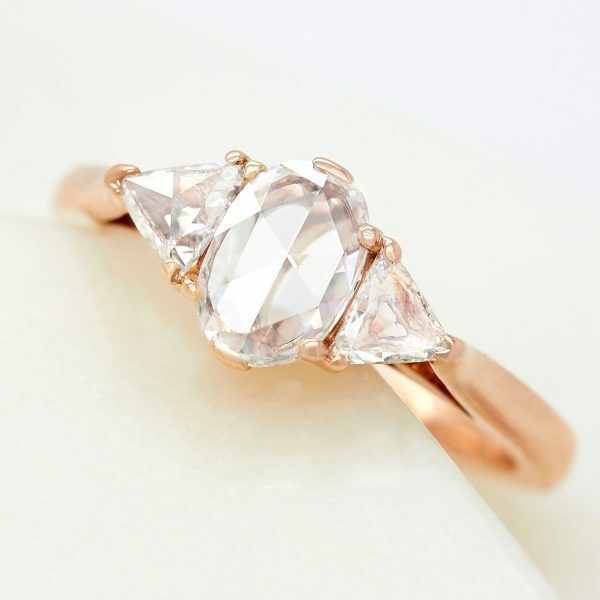 The Old European cut diamond has astounding vintage appeal–you’ll often find them set in heirloom designs including Edwardian, Victorian and Art-Nouveau jewellery. Vintage collectors often refer to the cut’s “inner fire”, which describes the distinct contrast of bright and dark flashes of light within an Old European cut–resulting in a checkerboard effect. Cut using antique techniques, the organic feel of an Old European cut diamond makes this cut a vintage-lovers favourite. 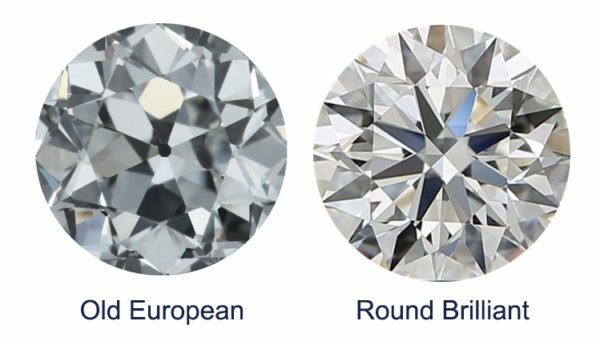 Should I choose an old European or round brilliant diamond? While both being round in shape, the old European cut and the modern round brilliant cut certainly achieve different aesthetics. At their heart, old European cut diamonds are more subtle stones. They are cut by hand, which gives them an artisanal charm and history, that draws attention to their glowing centre. 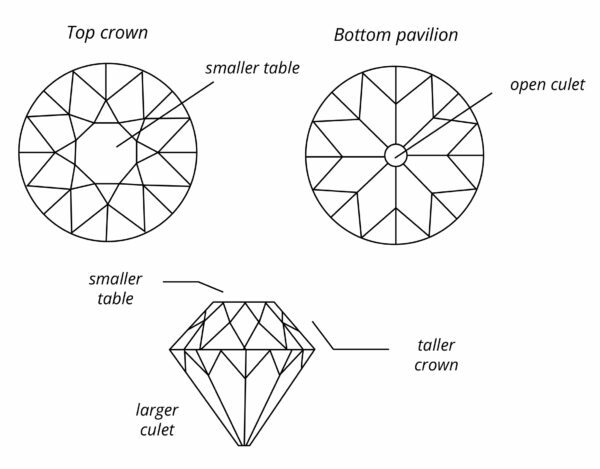 With advancements in technology, new cutting techniques revolutionised the placement, quantity and proportion of a diamond’s facets. 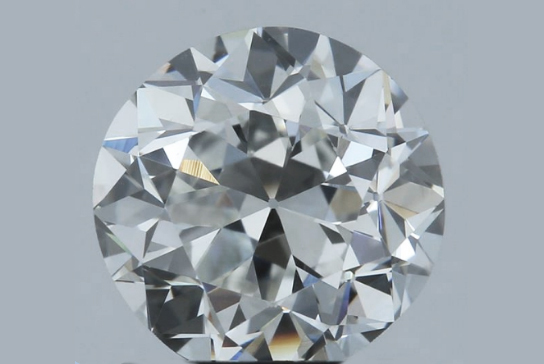 Diamond cutting began to be optimised for brilliance, and so, modern round brilliant cut arrived. The facet structure is cut in such a way that when light enters the stone, it reflects back out, giving a bright, sparkly diamond. This scintillating appearance is now synonymous with modern jewellery. As with most ring design elements, both of these diamond cuts exhibit unique beauty, but ultimately, the choice is yours. Dating back to the mid 1800s through to the 1900s, the old mine cut diamond was developed in Brazil. It is considered one of the earliest forms of the brilliant cut with 58 facets. Why should I choose an old mine cut diamond? 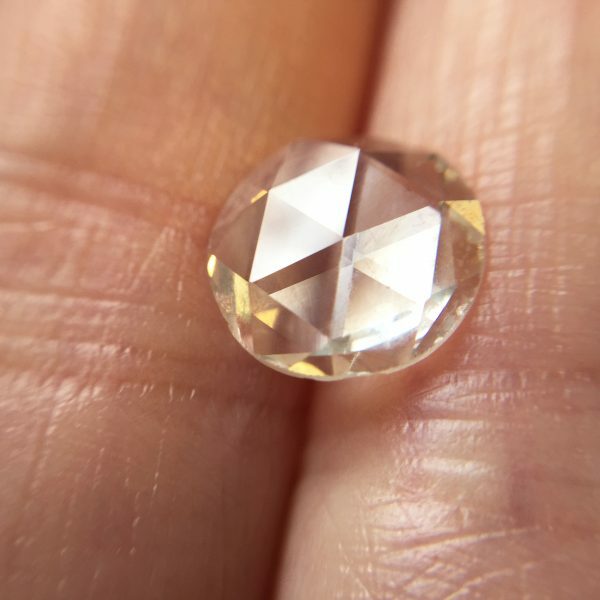 Often seen in jewellery from the Georgian and Victorian eras, old mine cut diamonds are similar to a modern day cushion cut. Much like other vintage diamond cuts like the old European cut and the rose cut, old mine cut diamonds tend to hand cut with the aid of early machinery. Each stone possesses its own individual and unique character, making this diamond cut a favourite of those longing for a one-of-a-kind jewellery piece. From a side view, old mine cut diamonds have a square shaped girdle with gently rounded corners, a high crown, a small table and large, flat culet.